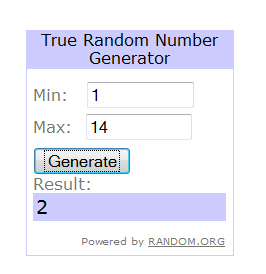 So here are the winners of my Giveaway! I hope you both make lots of yummy things with the spices! Please email me on onelifetoeat[at]gmail[dot]com with your US postal addresses. I will check your email address with the one you used to comment so please make sure you email me from the same address. I will also be emailing you both to confirm your win. 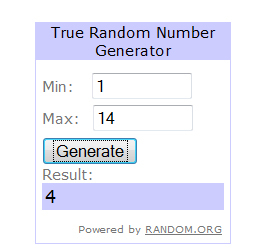 If I do not receive an address from you by Friday Feb 4th, I will have to choose another winner. Thank you all for participating and making my first Giveaway so fun! All your suggestions have been well noted and I will try my best to incorporate them in my future posts. Happy cooking! Thanks for stopping by my blog Rebecca!